I have an addiction i would like to confess. I am an addict when it comes to membership cards. I don’t know why but i love signing in forms and having the physicsl card inside my wallet. I also feel like i get more out of what i buy or what i shop everytime i use my card. Do you have this addiction too??? Anyways, while i was having my Christmas shopping last week i bumped in Robinsons department store to purchase a top for my Mom and a sweat pants for my eldest sister. As i approach the cashier area, the lady introduced me to Robinsons Reward. I see a lot of potential of me using the card since a new Robinsons mall is being put near our area. So without further ado here’s my take on the Robinsons Rewards card. Membership Fee: 150pesos upon opening. If you opened as part of your shopping cart or what you bought in the store, the total amount of your purchase and the membership fee will be counted as your first earning points. How To: As you pay your merchandise the cashier will ask you if you own one. If not you will have the option either to buy or not to buy. If you will buy, the cashier will hand you one form to be filled up and then you will receive an envelope. 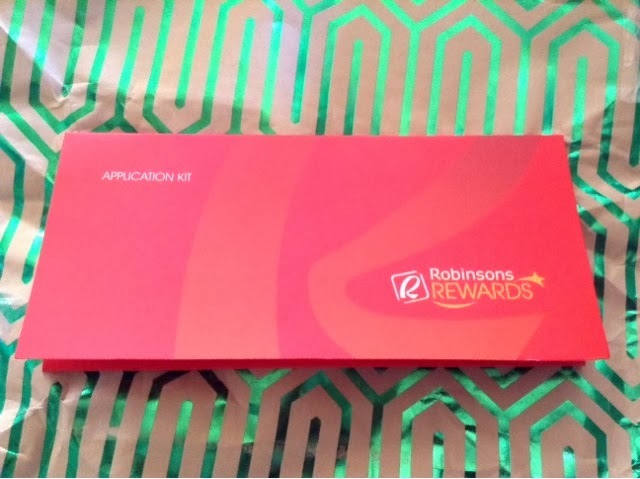 Inside the envelope is your card and two phamplets about the how-to’s of your Robinson’s Reward card. Hand in then your 150pesos membership fee and viola you have you own reward card. The reward card is just like any other mall rewards card wherein the total amount of items you purchased in the participating store will be equal to special points and can be used to pay for your next transactions. The card is valid for 2years. Lost card as well damge of card is subject to 100pesos or its equivalent rewards points. You can earn points through Robinsons Supermarket, Robinsons Department and ToysRus. It will also be accepted in soon in Saizen Daiso which is amazing by the way, Howards storage world and True Value which has a branch in Glorietta near my work. Robinsons Supermarket: Every 400pesos transaction is equal to 1 points which has cash conversion of 1 pesos. 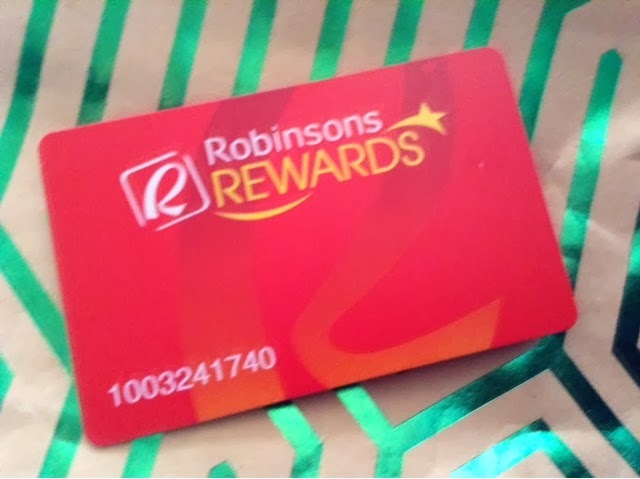 Robinsons Department Store: Every 200pesos transaction is equal to 1 points which has cash conversion of 1 pesos. ToysRus: Every 200pesos transaction is equal to 1 points which has cash conversion of 1 pesos. 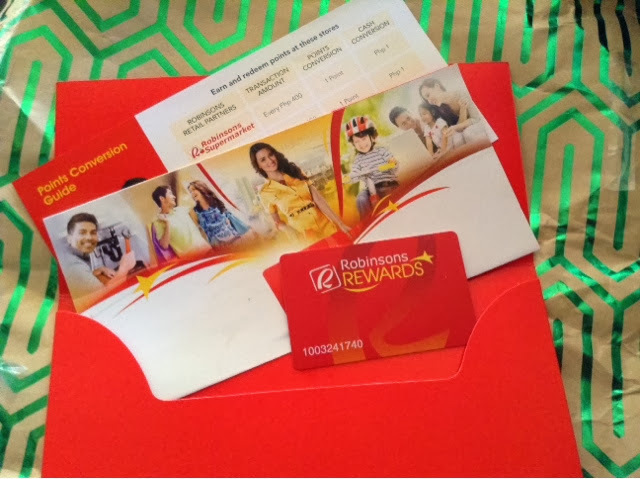 Have you applied for a Robinsons Rewards card already?? ?